All of our machines are restored using as many original parts as possible. All our parts are cleaned and refurbished to make each machine look exactly as they did coming out of the factory years ago. 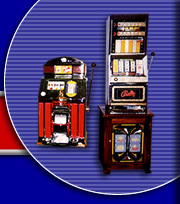 These are examples of slot machines that we have bought and sold.